Feel like French food at a reasonable price? Baroque Bistro is your answer. Entrée: Ocean trout with mango and coconut salad. Likes: Everything! I was delightfully surprised and thoroughly enjoyed this dish. It was a light and very refreshing entrée. I mean, first of all, I don't like fish in my entrée, and second of all with fruit in a salad? hmm *bells ringing and red flags everywhere* but boy, oh boy, was I wrong. I absolutely adored it. So for those who have this weird thing about fish, mango and coconut not working together, give it a go. Dislikes: A big fat nothing. Main: Sweetcorn Croquette, Spatchcock with Poached Peach and Lamb Fillet with Eggplant. 1. I loved the sweetcorn croquette but then again I'm a big corn lover, so everything made out of corn is yummy. Overall, just a nice pleasant dish to enjoy. 2. Spatchcock was nicely cooked but I'm not too sure about the sausage or the poached peach. I personally did not like it, but together it was an average dish. 3. Lamb fillet with eggplant was a little adventurous for me as I don't usually eat lamb or eggplant, but I really did like this dish. It changed my perspective on eggplant; it was very nicely done. Desserts: Creme Brulee, Peach Soufflé and Chocolate Mousse. 1. 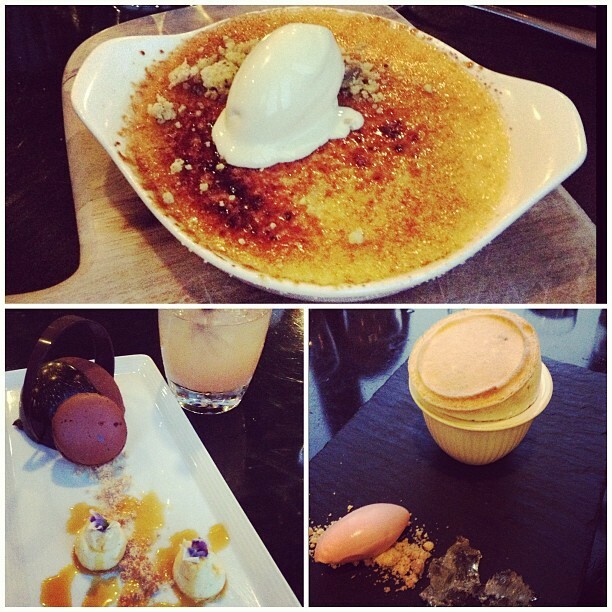 I was relatively impressed by the creme brulee - it was quite delicious. 2. Peach soufflé was really light, yummy and feathery, but then it didn't really wow me. 3. I was impressed! I'm a big chocolate lover. I don't like heavy too chocolatey anything, but this mousse had enough chocolate in it that made me swoon but not too much to make me feel sick. It was the right amount of sweetness and bitterness as well which made for an amazing dessert to finish off the night. 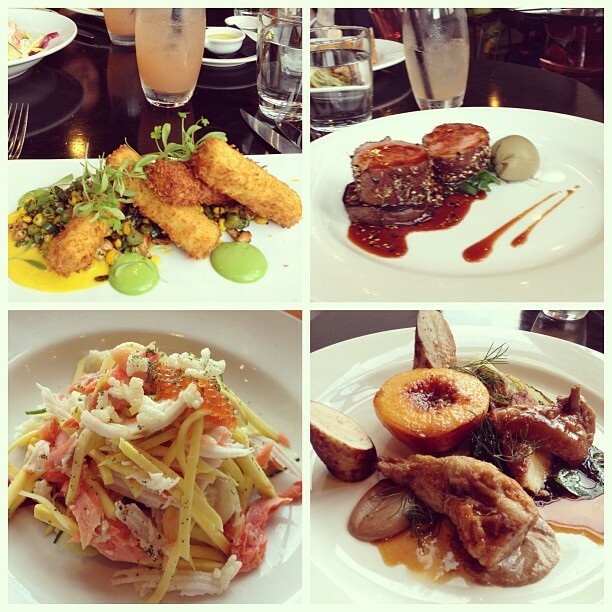 Baroque Bistro - check it out here.